Background/aim: The aim of this study is to assess the Xpert MTB/RIF assay for diagnosis of the Mycobacterium tuberculosis complex in clinical samples and to compare the results by reference to the diagnostic method, Bactec MGIT 960. Materials and methods: A total of 7407 samples were included from patients not primarily suggesting pulmonary or extrapulmonary tuberculosis (TB), collected from patients required to be screened for TB and excluding TB diagnoses since it was a differential diagnosis. Also included were a total of 411 samples from patients primarily suggesting pulmonary or extrapulmonary TB. Results: In the first group, 152 of 7407 samples yielded positive results with the Bactec MGIT 960, 131 (1.77%) were found positive with Löwenstein-Jensen medium, and 295 (3.99%) were found positive with Ziehl-Neelsen staining. In the second group, 24 (5.8%), 17 (4.1%), and 28 (6.8%) of 411 samples were found positive. Xpert MTB/RIF [27 (6.6%) of 411 samples] detected 3 additional samples as positive, and these 3 cases were clinically compatible with TB. Conclusion: The Xpert MTB/RIF assay shows superior performance for the diagnosis of TB. Its usefulness in culture-negative patients and the best method for integrating this diagnostic method into current tuberculosis diagnostic algorithms both need further study. Xu HB, Jiang RB, Li L. Pulmonary resection for patients with multidrug-resistant tuberculosis: systematic review and meta- analysis. J Antimicrob Chemoth 2011; 66: 1687–1695. Nikam C, Jagannath M, Narayanan MM, Ramanabhiraman V, Kazi M, Shetty A, Rodrigues C. Rapid diagnosis of Mycobacterium tuberculosis with Truenat MTB: a near-care approach. PLoS One 2013; 8: e51121. Baylan O. Extensively drug resistant and extremely drug resistant tuberculosis forms after multi-drug resistant tuberculosis: new faces of the old disease. Mikrobiyol Bul 2011; 45: 181–195 (in Turkish with abstract in English). 4. Chang K, Lu W, Wang J, Zhang K, Jia S, Li F, Deng S, Chen M. Rapid and effective diagnosis of tuberculosis and rifampicin resistance with Xpert MTB/RIF assay: a meta-analysis. J Infect 2012; 64: 580–588. Weyer K, Carai S, Nunn P. Viewpoint TB diagnostics: what does the world really need? J Infect Dis 2011; 204: 1196–1202. Hillemann D, Ruesch-Gerdes S, Boehme C, Richter E. Rapid molecular detection of extrapulmonary tuberculosis by automated GeneXpert® MTB/RIF system. J Clin Microbiol 2011; 49: 1202–1205. WHO. Roadmap for Rolling Out Xpert MTB/RIF for Rapid Diagnosis of TB and MDR-TB. Geneva, Switzerland: World Health Organization; 2010. Dorman SE. New diagnostic tests for tuberculosis: bench, bedside, and beyond. Clin Infect Dis 2010; 50: 173–177. Takashima T, Higuchi T. Mycobacterial tests. Kekkaku 2008; 83: 43–59. Chien HP, Yu MC, Wu MH, Lin TP, Luh KT. Comparison of the BACTEC MGIT 960 with Löwenstein–Jensen medium for recovery of mycobacteria from clinical specimens. Int J Tuberc Lung Dis 2000; 4: 866–870. Ray S, Talukdar A, Kundu S, Khanra D, Sonthalia N. Diagnosis and management of miliary tuberculosis: current state and future perspectives. Ther Clin Risk Manag 2013; 9: 9–26. Naing C, Mak JW, Maung M, Wong SF, Kassim AI. Meta- analysis: the association between HIV infection and extrapulmonary tuberculosis. Lung 2013; 191: 27–34. Nakazawa Y, Nishino T, Mori A, Uramatsu T, Obata Y, Arai H, Hayashi H, Tsukasaki S, Muraya Y, Inoue Y et al. Tuberculous osteomyelitis in the ulna of a patient undergoing hemodialysis. Intern Med 2013; 52: 135–139. Hristea A, Olaru ID, Baicus C, Moroti R, Arama V, Ion M. Clinical prediction rule for differentiating tuberculous from viral meningitis. Int J Tuberc Lung Dis 2012; 16: 793–798. Liu A, Nicol E, Hu Y, Coates A. Tuberculous endocarditis. Int J Cardiol 2013; 167: 640–645. Kucukardali Y, Oncul O, Cavuslu S, Danaci M, Calangu S, Erdem H, Topcu AW, Adibelli Z, Akova M, Karaali EA et al. The spectrum of diseases causing fever of unknown origin in Turkey: a multicenter study. Int J Infec Dis 2008; 12: 71–79. Tahasildar N, Sudesh P, Tripathy SK, Shashidhar BK. Bilateral pathological dislocation of the hip secondary to tuberculous arthritis following disseminated tuberculosis: a case report and review of the literature. J Pediatr Orthop B 2012; 21: 567–573. Preuss J, Woenckhaus C, Thierauf A, Strehler M, Madea B. Non-diagnosed pulmonary hyalinizing granuloma (PHG) as a cause of sudden unexpected death. Forensic Sci Int 2008; 179: e51–55. Rasheed S, Zinicola R, Watson D, Bajwa A, McDonald PJ. Intra-abdominal and gastrointestinal tuberculosis. Colorectal Dis 2007; 9: 773–783. Helb D, Jones M, Story E, Boehme C, Wallace E, Ho K, Kop J, Owens MR, Rodgers R, Banada P et al. Rapid detection of Mycobacterium tuberculosis and rifampin resistance by use of on-demand, near-patient technology. J Clin Microbiol 2010; 48: 229–237. Campos M, Quartin A, Mendes E, Abreu A, Gurevich S, Echarte L, Ferreira T, Cleary T, Hollender E, Ashkin D. Feasibility of shortening respiratory isolation with a single sputum nucleic acid amplification test. Am J Res Crit Care 2008; 178: 300–305. Blakemore R, Story E, Helb D, Kop J, Banada P, Owens MR, Chakravorty S, Jones M, Alland D. Evaluation of the analytical performance of the Xpert MTB/RIF assay. J Clin Microbiol 2010; 48: 2495–2501. Boehme CC, Nicol MP, Nabeta P, Michael JS, Gotuzzo E, Tahirli R, Gler MT, Blakemore R, Worodria W, Gray C et al. Feasibility, diagnostic accuracy, and effectiveness of decentralised use of the Xpert MTB/RIF test for diagnosis of tuberculosis and multidrug resistance: a multicentre implementation study. Lancet 2011; 377: 1495–1505. Kim SY, Kim H, Kim SY, Ra EK, Joo SI, Shin S, Seong MW, Yoo CG, Kim EC, Park SS. The Xpert® MTB/RIF assay evaluation in South Korea, a country with an intermediate tuberculosis burden. Int J Tuberc Lung D 2012; 16: 1471–1476. Eichbaum Q, Rubin EJ. Tuberculosis: advances in laboratory diagnosis and drug susceptibility testing. Am J Clin Pathol 2002; 118: 3–17. Rachow A, Clowes P, Saathoff E, Mtafya B, Michael E, Ntinginya EN, Kowour D, Rojas-Ponce G, Kroidl A, Maboko L et al. Increased and expedited case detection by Xpert MTB/ RIF assay in childhood tuberculosis: a prospective cohort study. Clin Infect Dis 2012; 54: 1388–1396. Mathew P, Kuo YH, Vazirani B, Eng RH, Weinstein MP. Are three sputum acid-fast bacillus smears necessary for discontinuing tuberculosis isolation? J Clin Microbiol 2002; 40: 3482–3484. WHO. Global Tuberculosis Control 2010. Geneva, Switzerland: World Health Organization; 2010. Gaude GS, Hemashettar BM, Bagga AS, Chatterji R. Clinical profile of pulmonary nocardiosis. Indian J Chest Dis Allied Sci 1999; 41: 153–157. Lee JS, Kim EC, Joo SI, Lee SM, Yoo CG, Kim YW, Han SK, Shim YS, Yim JJ. The incidence and clinical implication of sputum with positive acid-fast bacilli smear but negative in mycobacterial culture in a tertiary referral hospital in South Korea. J Korean Med Sci 2008; 23: 767–771. Rachow A, Zumla A, Heinrich N, Rojas-Ponce G, Mtafya B, Reither K, Ntinginya EN, O’Grady J, Huggett J, Dheda K et al. Rapid and accurate detection of Mycobacterium tuberculosis in sputum samples by Cepheid Xpert MTB/RIF assay—a clinical validation study. PLoS One 2011; 6: e20458. Lönnroth K, Castro KG, Chakaya JM, Chauhan LS, Floyd K, Glaziou P, Raviglione MC. Tuberculosis control and elimination 2010-50: cure, care, and social development. Lancet 2010; 375: 1814–1829. ISNAD ÇELİK, CEM , GÖZEL, MUSTAFA GÖKHAN , BAKICI, MUSTAFA ZAHİR , BERK, SERDAR , ÖZŞAHİN, SEFA LEVENT , GÜLTÜRK, ESRA . "Applicability of Xpert MTB/RIF assay for routine diagnosis of tuberculosis: a four-year single-center experience". 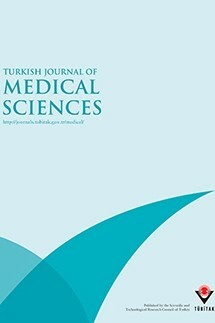 Turkish Journal of Medical Sciences 45 / 6 (December 2015): 1329-1334.